→ Contest, Tournaments and Events! 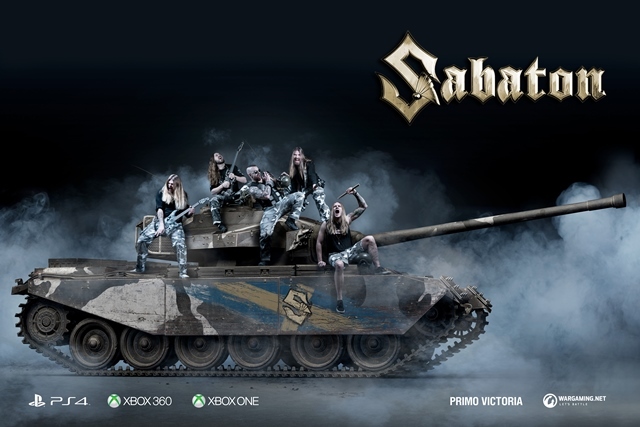 Win a Sabaton autographed poster and a World of Tanks Console Primo Victoria Tank! We pulled the names in our latest Weekly Assault Stream! Rewards will be credited within 24 hours!! 1 random lucky winner will receive the autographed poster and a Primo Victoria tank with all Sabaton crew members! You have until June 21st 12:00PM Central time to participate! Edited by RaiBOT01, 28 June 2018 - 11:26 PM. Question, does it have to be a new Screenshot? Disclaimer Below: If you don't read it and take my guesses as fact then it's not my fault. Disclaimer: Most of my posts (Mainly Guesses) should be taken with a pinch of salt unless i back it up with an official source. I shouldn't have to but a couple of players have forced my hand due to unintentional "Miscommunication". Added that info to the contest! wasn't there a previous contest with a similar prize offered? And what was the result of said contest? Edited by ApachecNative, 12 May 2018 - 05:18 AM. 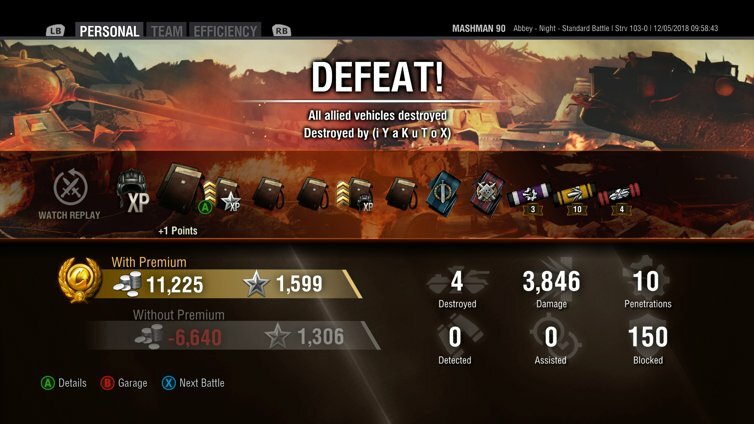 Can i still enter if i already have a P.Victoria, and if the damage screenshot is done with the tank? (would like the crews as they come with crew skills). i assume so, you would get Silver for the Primo. Only have one Swedish tank and does war stories count? Or does it need to be multiple player? Edit: Oops - had missed that IBROX 04 had already asked this! Standing by for answer. So far haven't had much success with my Swedish tanks. However my crack legal team of Reddy, Aimes and Fiyer has found a potential loop hole in the requirements. Image below shows a new screenshot of my battle results with a Swedish tank, with Tanks destroyed higher than 5. ​​Screenshot shows this was a "Standard Battle". Of course it's not a multiplayer battle. In meantime I'm back to getting points for the T-50-2. Edited by YoungestBike679, 12 May 2018 - 12:37 PM. Edited by LazyCalf5928745, 16 May 2018 - 12:36 PM. Duck 94k xp. The mini map is crap, i roll with compass. Wee bit cheeky, but I followed the rules. Yeah, unless Rai says no . Game Community → English Speaking Community → Forum → Community Central → Contest, Tournaments and Events! → Contests and events → "World of Tanks Console Photo Masters "You can't see me....shhhhhh"
Game Community → English Speaking Community → Forum → Community Central → Contest, Tournaments and Events! → Contests and events → World of Tanks Console - Fifth Anniversary Giveaway: Enter Now to Win One of 6,500+ Prizes! Game Community → English Speaking Community → Forum → Community Central → Contest, Tournaments and Events! → Contests and events → World of Tanks Console 5th Anniversary Contest! WIN a signed Collector's Edition Box! Game Community → English Speaking Community → Forum → Community Central → Contest, Tournaments and Events! → Contests and events → Core Breach Mode - Destroy a Wargaming West employee and WIN SOMETHING!